Much better than the old version! We’ve seen companies make alterations to blasters on the market, and we’ve seen brand new versions. 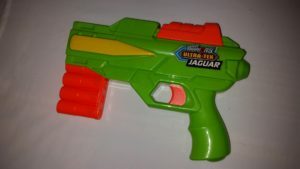 For example, Hasbro remade many old Nstrike blasters in their creation of the Nstrike Elite line. We’ve also seen Elite blasters recolored and labeled “Elite XD”, with supposedly greater ranges (spoiler: they didn’t). 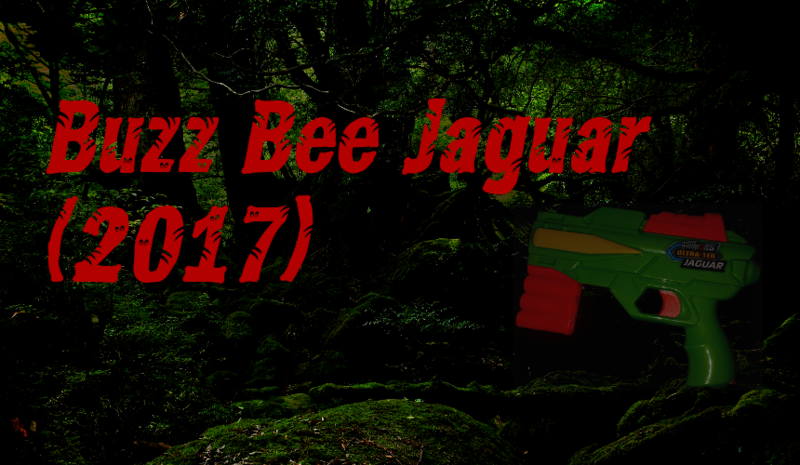 Now, Buzz Bee Toys has a new version of the Jaguar appearing on store shelves. It claims to be an Ultra Tek blaster, with ranges to match. But is it a redesign, or a marketing stunt? All indications signal the former! What’s a Jaguar, Some Kind of Cat? Comparing the new and old blaster packaging! I found this version of the Jaguar two days ago at Walmart, for the same price as the old Jaguar. The packaging was obviously different, with range claims of up to 72′ instead of the previous 30′. 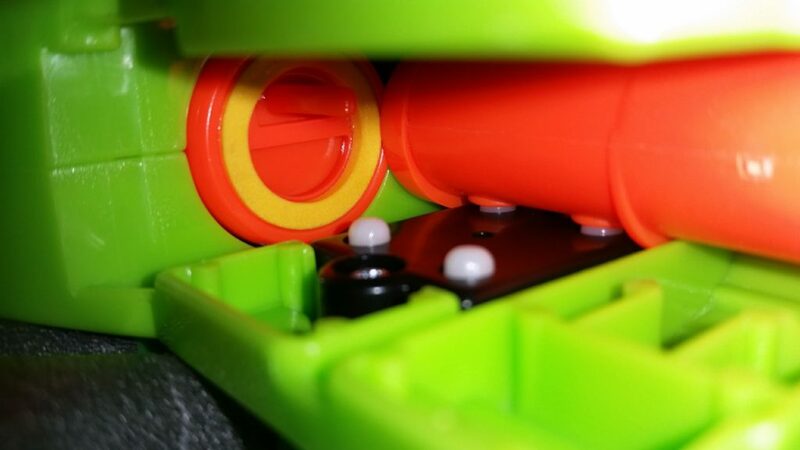 In addition, there’s a completely different model number – 48249, as opposed to the original blaster’s 48250. For those wanting information on the original Jaguar, I suggest this blog post. It includes internals. Once removed from the package, the differences in the shell become more apparent than when viewed in the toy aisle. There is, of course, more variation in the shell coloring, but there’s also a wider, rounder portion towards the top of the shell. This is where the new plunger tube slides back and forth. 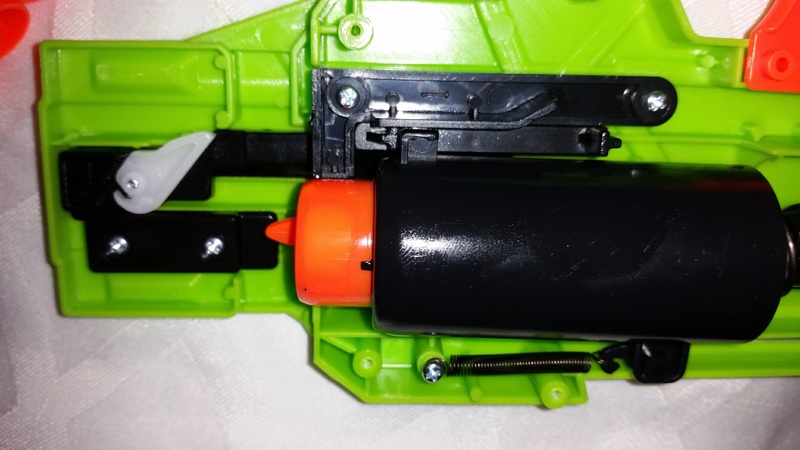 In addition, there’s enough power in the blaster to justify having a true air safety valve. 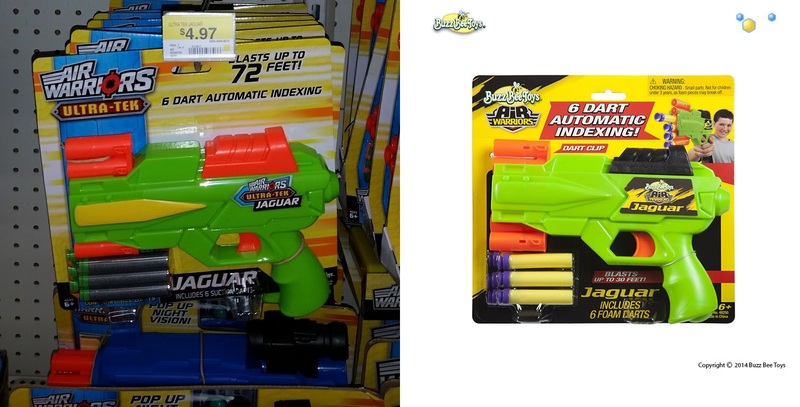 Most older Buzz Bee blasters, including the original Jaguar, simply relied on a small diameter air outlet coming from the plunger tube, which then fed through an oversized dart post or fake shell casing. All of that is gone now, leaving us a vertical clip that is virtually free of obstruction. Remove the valve if you like, just be aware that you can’t dry-fire it without damaging the shell. Inside the shell, you can REALLY see the difference. The plunger draw is the same, at about 2-1/16″ long. The plunger tube, however, is much wider in diameter. sitting at 1 1/8″ ID for most of its length (the back third of it is tapered). The old version couldn’t even fit 1/2″ PVC pipe inside it. 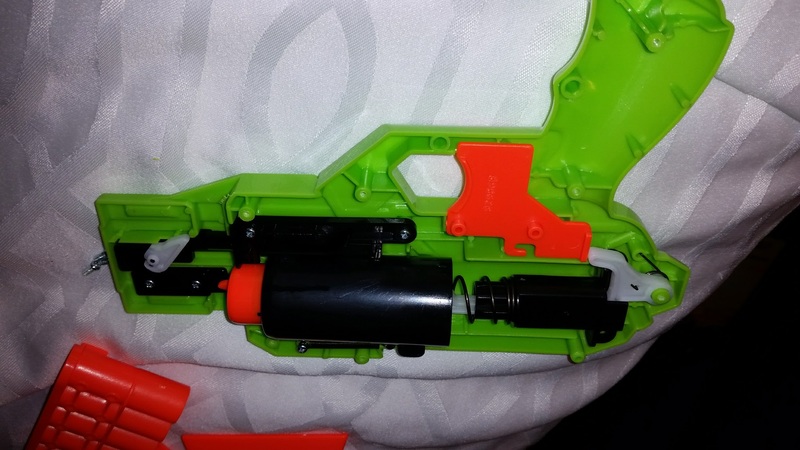 The blaster primes like most current Buzz Bee clip-fed blasters. The entire plunger tube moves, pushing the plunger back until it catches. There’s no slam fire mechanism. In the end, however, the real evidence of change for any blaster product has to be performance. In that area, the 2017 Jaguar is a vast improvement over the older model. The supplied Ultra Tek darts hit a respectable 67 fps on average. 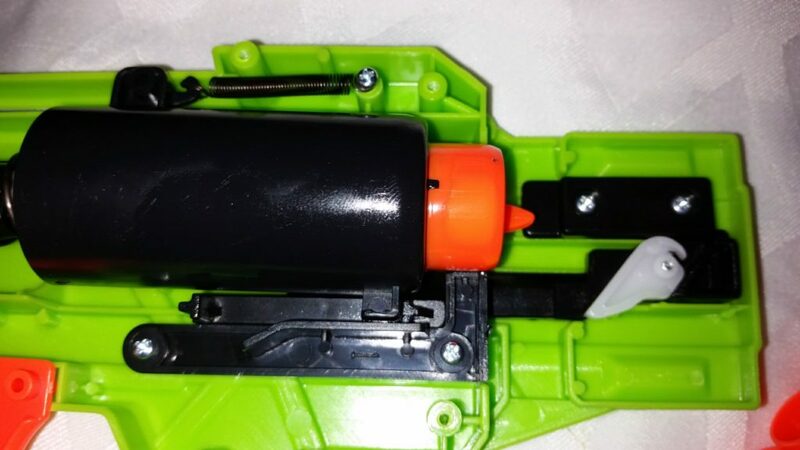 There is one issue with the blaster; it doesn’t prime far enough to reach the tapered portion! The reason this is bad is simple – until the air safety valve engages the dart in the clip, the forward motion of priming pulls a vacuum in the plunger. Even after moving the plunger tube to its forward position, you still have a dart blocking off the barrel. It takes a second for the pressure in the tube to equalize. 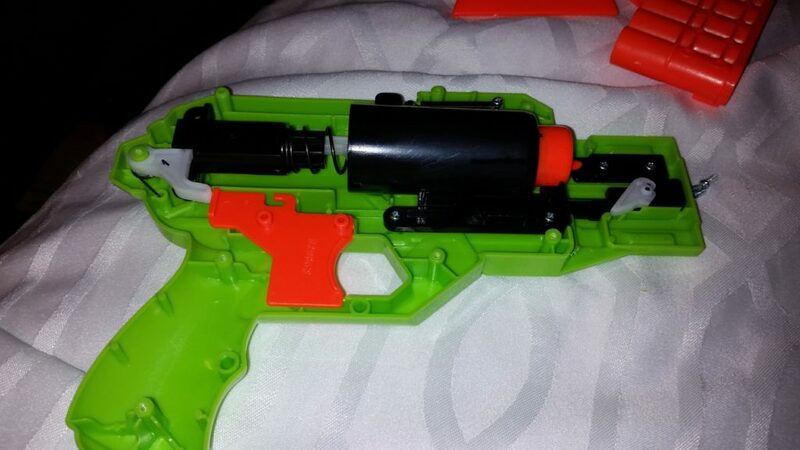 If you modify the blaster and remove the valve, of course, it will no longer be an issue. In the end, the latest model year Jaguar is a vast improvement over its predecessor. The internals are better, the modding potential is better, EVERYTHING is better. And for $5, it’s quite a steal. 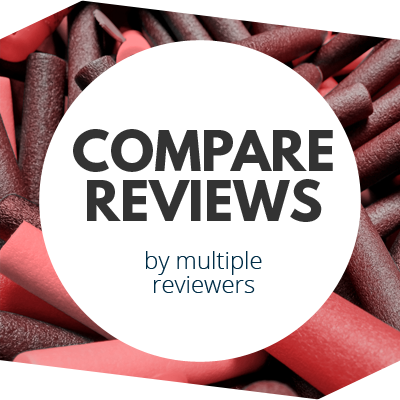 Grab one or two the next time you need blasters for a pistol round! 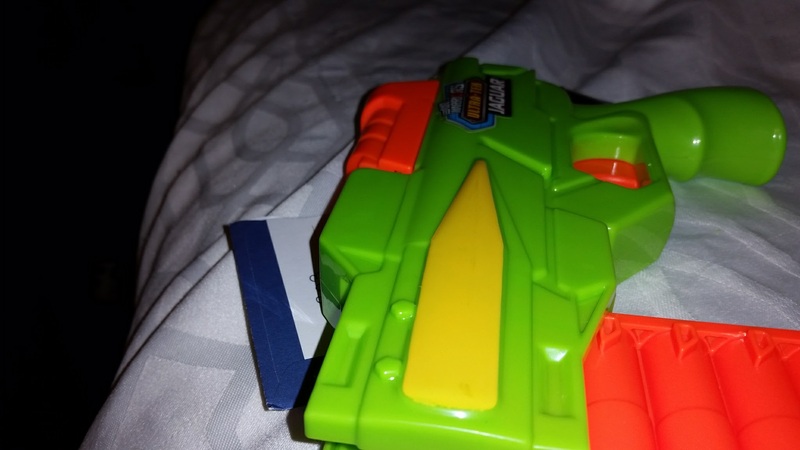 This entry was posted in Dart Blasters, Reviews and tagged Air Warriors, buzz bee, review, ultra tek on January 30, 2017 by BuffdaddyNerf. 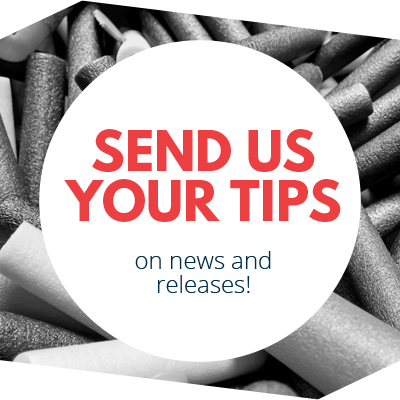 Nerf News: Rival Nemesis – It’s Official! Less than Three Weeks to New York Toy Fair! Oh man I can’t wait for the mods. Or I’ll see if I can make a drop clip one. This looks good. Nerfing on a budget has been made much easier.